Many people around the world live in patrilocal societies. Patrilocality prescribes that women move in with their husbands’ parents, relieve their in-laws from housework, and care for them in old age. This arrangement is likely to have labour market consequences, in particular for the women. 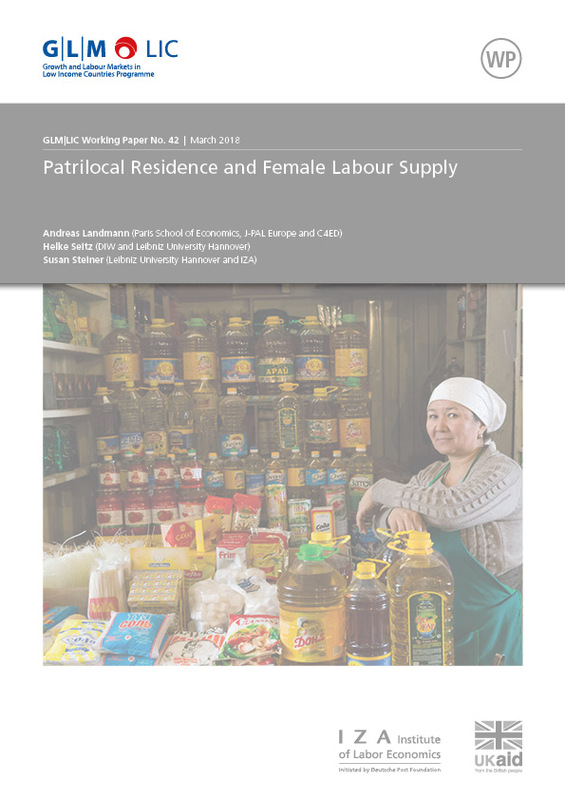 We study the effect of co-residence on female labour supply in Kyrgyzstan, a strongly patrilocal setting. We account for the endogeneity of co-residence by exploiting the tradition that youngest sons usually live with their parents. In both OLS and IV estimations, the effect of co-residence on female labour supply is negative and insignificant. This is in contrast to previous studies, which found positive effects in less patrilocal settings. We go beyond earlier work by investigating effect channels. In Kyrgyzstan, co-residing women invest more time in elder care than women who do not co-reside and they do not receive parental support in housework.